Default predictor to predict the default like short interest, short deduction, PAN error, delayed payment, challan status, etc. Various MIS reports to cater to the needs of user. Flexibility to create own template of MIS reports. Detailed computation as well as direct approach to file salary return. Easy migration with conso file/backup file. Linking of particular section with deductees. Auto/Manual calculation of TDS for deduction entries. Common database for ITR, TDS and Audit allows user to avoid duplicity in creating multiple client masters. Short-cut keys for fast access of various functionalities of the software. Single Master for Income-tax, GST, TDS returns. Facility to amend data in Table 9 of GSTR-1. Delete all sections at one go. Uploaded data into GST portal can be deleted directly from software. User guides and help videos for various sections. Reconciliation between GSTR-2A with purchase register. What does “One Solution” Mean? Currently every Individual, Professionals and Business Houses are required to comply with various direct & indirect tax compliances like Income Tax Returns, TDS/TCS Returns, Audit Report and GST Compliances. Hence, Taxmann has developed a software called as “One Solution” which integrates all the compliance requirements from where user can file ITR, TDS/TCS Returns, Audit Report and GST Returns. Can I reconcile my data with GST common portal? Yes, user can reconcile all his purchase details of a particular period with GSTR-2A of such period and Taxmann is working on more reconciliation automation like GSTR-3B with GSTR-1, GSTR-2A with GSTR-3B so that users manual efforts can be reduced. 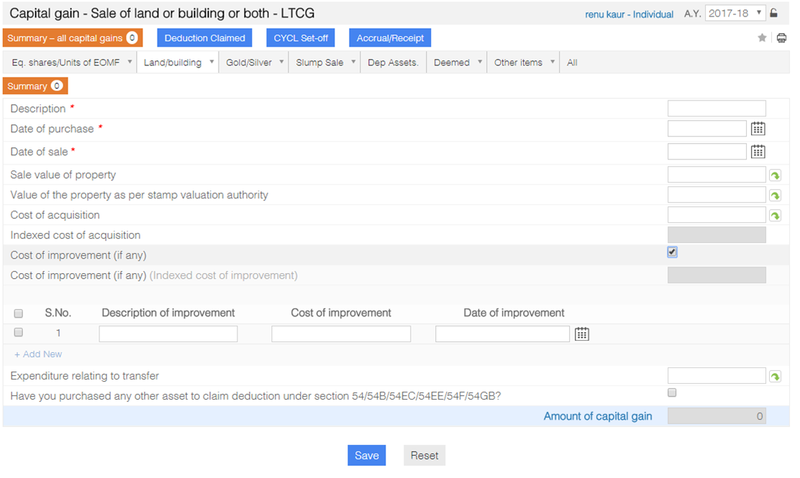 Can I extract all the details like GST return filing details, Ledger, etc., on one click for all periods? Yes, software allows user to get data from GST portal directly into the software where user can view real time ledger balances periods wise and on a click till date filing status of a particular client can be viewed. Do I need to convert any files into JSON format? No, Since One Solution software is having GSP functionality which allows user to upload invoices, GST returns directly on GST common portal without need to convert JSON file. Is there any restriction on filing returns? No, Unlimited GST returns can be filed for unlimited clients. Why should I purchase GST Software? How will this software ease my compliance needs? i) Avoid standing in queue/traffic on due dates to file GST returns. ii) Avoid facing hassels of JSON conversion. iii) No Restriction on numbers of invoice uploading at GST portal. iv) Unlimited GST invoices can be uploaded at GST portal with all validations. v) Unlimited GSTR can be filed. vi) Single dashboard for the group Companies/Autditors/Consultants/Tax Practioners/Advocates to manage, view, prepare and file all the types of GST returns of unlimited clients. vii) Smooth, fast and convenient invoice uploading direct at GST portal through software. viii) User can download summary of uploaded data on a single click in exact GST returns manner. ix) Know your ledger balances on real time basis on a single click. x) Delete wrongly uploaded or invoices having incorrect details at GST portal from software on a single click. xi) Get reconciliation reports on a single click. How is Taxmann’s GST Software different from GST common portal? Taxmann is both an ASP and authorized GSP. ASP is Application Suvidha Provider which basically helps you in preparing all types of GST returns in an advanced, hi-tech and in automatic manner from the raw data. Once the return is prepared, GSP function helps in uploading, filing the return in seamless manner without interface of JSON, directly at the GST common portal.